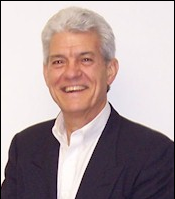 Mr. Schmid is cofounder and President of BIS. He is a 25-year veteran in the mergers and acquisitions arena. In 1974 Mr. Schmid’s corporate career began with The Babcock & Wilcox Co. (B&W) in its Corporate Planning and Business Development Department; and following the acquisition of B&W by J. Ray McDermott (NYSE:MDR) in 1978, he was moved to McDermott’s corporate staff. 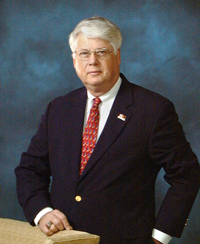 In 1980 Mr. Schmid was selected by Tidewater, Inc. (NYSE:TDW) to be its first Director of Corporate Development and served in that position until 1985 when he resigned and moved to Asheville, North Carolina, where he joined a local business brokerage firm where he specialized in larger transactions. During nine years in general business brokerage he performed valuations of several hundred businesses for buyers and sellers and was involved in over 100 transactions. In 1994 Mr. Schmid and William J. Fass founded BIS to focus solely on middle market transactions. Mr. Schmid has both a B.S. in Industrial Management and M.S. in Management from The University of Akron, Akron, Ohio. Mr. Schmid also studied Strategic Planning at the Massachusetts Institute of Technology’s Sloan School of Business. He is a life member of The Institute of Business Appraisers and holds charter membership in the Southeastern Chapter of The Institute of Business Appraisers. Mr. Schmid is a licensed real estate broker in North Carolina and South Carolina. In addition, Mr. Schmid is an active member of the Charlotte chapter of the Association for Corporate Growth (ACG). Toby Tatum earned a Master’s Degree in Business Administration from San Francisco State University. As an entrepreneur, Toby bought a restaurant which employed 11 people grossing $300,000 per year in sales revenue. He built the company to a chain of six restaurants, employing 275 people, including 22 salaried managers with annual gross sales of $9 million. Toby sold his company in 1995 and relocated to Northern Nevada where he became a business broker and business appraiser. He is one of only four Certified Business Appraisers in Nevada. Toby has published three books: Anatomy of a Business Purchase Offer: Step-by-Step Instructions for Preparing a Successful Offer and Transaction Patterns: Obtaining Maximum Knowledge from the Bizcomps Database. Pricing a Small Business For Sale: A Practical Guide for Business Owners, Business Brokers, Buyers, and Their Advisors.